Rachel Bruner lives in Idaho, USA but has lived in two other countries: Panama and Quebec, Canada. 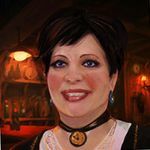 Rachel is an active member of BGG and has participated in a couple of game design contests. She enjoys building other designers' print and play games and giving feedback of the game's rules and gameplay.